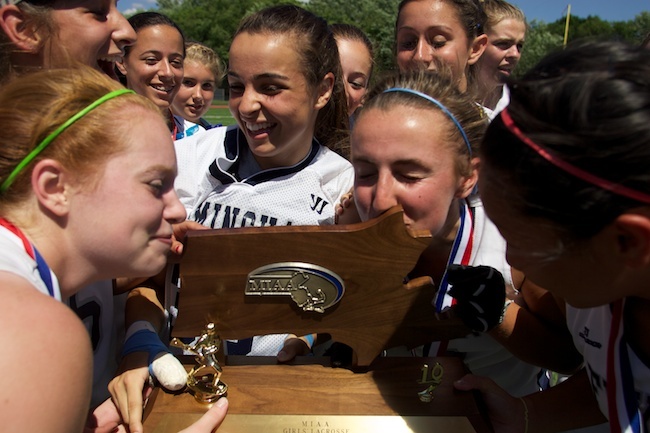 It was a big weekend in Worcester for the MIAA spring sports state finals, namely softball and lacrosse. I always enjoy photographing these events, especially at the high school level where the enthusiasm is genuine and the access is phenomenal. I always get a lot of requests from parents for prints, too, which is just some icing on the cake and little beer money in my pocket. Beautiful weather, plenty of sun (my farmer’s tan proves it), and good action made for a rewarding, albeit hectic (covered three games for the Herald), afternoon. 6.19.2010 — WORCESTER, Mass. — Framingham midfielder Tanner Guarino loses possesion after a check from Longmeadow midfielder Stephanie Sabatini in the MIAA Division 1 final on June 19, 2010. 6.19.2010 — WORCESTER, Mass. 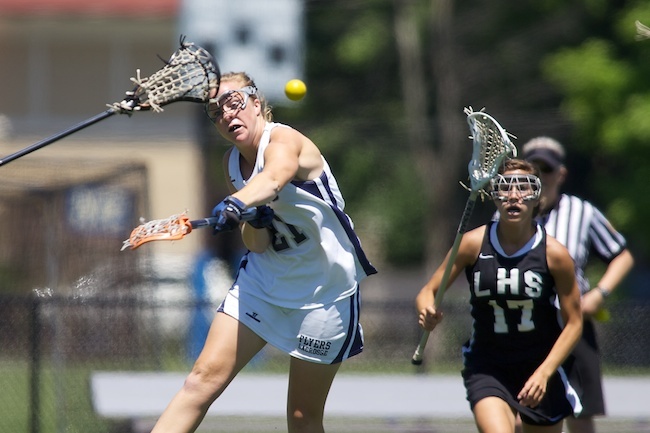 — Framingham midfielder Moira Barry rips a shot through traffic against Longmeadow in the MIAA Division 1 state final on June 19, 2010. 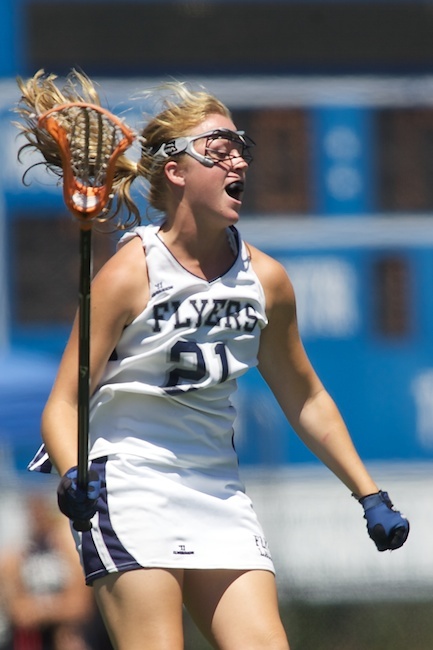 Framingham midfielder Moira Barry celebrates after scoring against Longmeadow in the MIAA Division 1 state final on June 19, 2010. 6.19.2010 — WORCESTER, Mass. — Framingham defender Leigh Nicoll puts a cross check on Longmeadow attacker Eileen McDonald in the MIAA Division 1 state final on June 19, 2010. 6.19.2010 — WORCESTER, Mass. 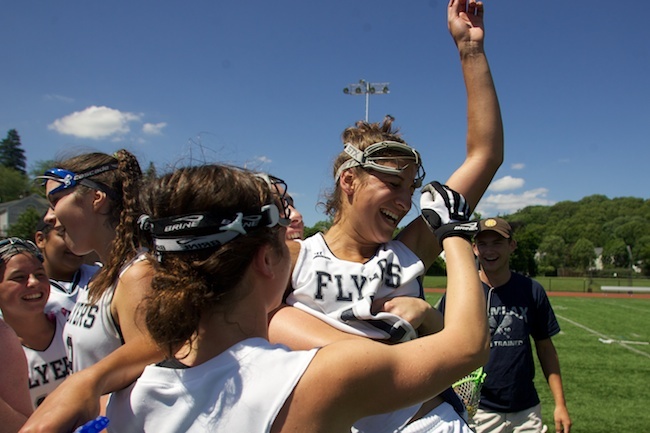 — Framingham midfielder Tanner Guarino is mobbed by her teammates after scoring the game-winning goal in the closing seconds of Framingham's 8-7 win over Longmeadow for the MIAA Division 1 state title on June 19, 2010. 6.19.2010 — WORCESTER, Mass. — Members of the state champion Framingham lacrosse team kiss the trophy after beating Longmeadow on June 19, 2010.